How would you like to take a full tour of beautiful Los Angeles and learn about rugs at the same time?! Dr. Kay (Dr. Khosrow Sobhe) is holding a private Rug Tour and Workshop in Los Angeles from August 10th through 12th, 2012. The emphasis will be on rug identification (Rug ID), repair, and online/internet marketing to provide more services for your customers to make more money out of rugs. The Online Marketing session will be held by Ashkan Sobhe, third generation rug professional, whose company is ranked as the top 1% SEO (Search Engine Optimization) company in the entire world. In our Los Angeles rug workshop we will answer all your questions on different historic, artistic, cultural, technical and economic aspects of rugs. This is a fun workshop to learn about rugs and network with other professionals in the field. It is a unique opportunity you won't find anywhere else. We will not have anything to sell. It is pure fun and learning. You will have fun and a lot of surprises! On Friday August 10th, we will have a grand reception with gourmet food, entertainment and free raffles! Lunch and dinner will be provided on all three days and nights! You won't be left on your own. We will feed and spoil you! 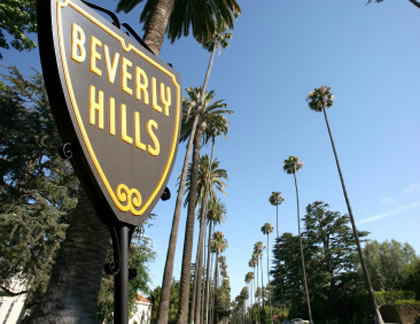 A customized tour of Los Angeles, Beverly Hills, and Hollywood is planned for Sunday August 12, 2012.